IPL 2019: This is the first time since 2010 that Dhoni will not be leading CSK. 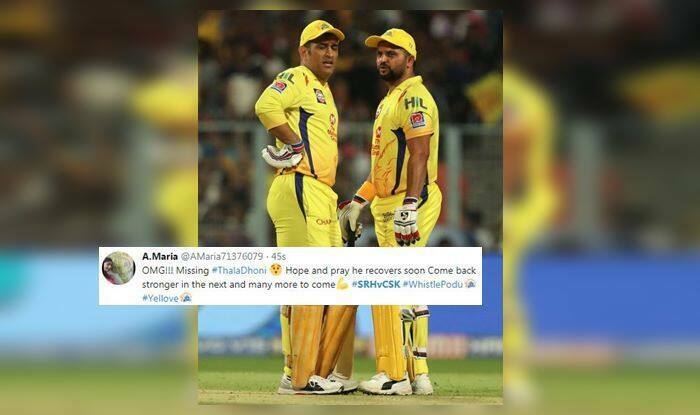 IPL 2019: CSK regular skipper MS Dhoni is being rested after a small niggle he picked up in the last game. The magnitude of the injury is not much as Dhoni was seen playing football which indicates that he is alright, but the management is not taking any chanv=ces as this is a big league. Dhoni not playing was not a predictable change in the CSK squad which is something no cricket lover wants. This is the first time since 2010 when CSK’s Skipper MS Dhoni is not playing and representing the Chennai Super Kings team. MS Dhoni was suffering from a back injury which makes him rest in today’s match against Sunrisers. On the substitute, Suresh Raina is doing the captaincy in this 33rd match of this league. Thambi Sambi will be behind the wickets for the first time in yellow.